We are sure you are aware of the possible Brexit. The negotiations are still in full swing at the moment. We take into account that a hard Brexit is almost unavoidable. 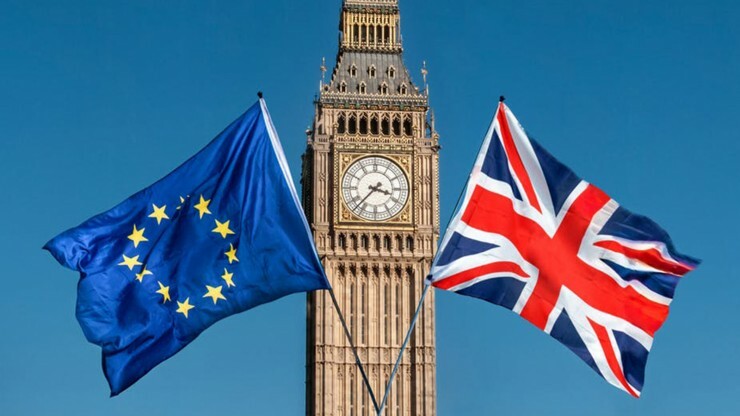 If a hard Brexit will take place, all the business between the United Kingdom and European Union will be covered by WTO (World Trade Organization). This means customs declarations must be made again, import rates will be applied and customs controls must be held at the border, which will result in longer waiting times, higher costs and more administration. Stricter requirements may be imposed to the quality of products in terms of import and export. As a fruit and vegetable exporter, we will have to prove that our products meet the required quality by means of a phytosanitary certificate. This certificate is a statement in which the authorities of the country of origin declare that these products are healthy and do not suffer from a disease. The customs in the EU will have to assess the declaration and decide if the products can or cannot be exported. The products have to meet the equirements of the United Kingdom as well. So when the products arrive at the terminal or port, it is possible that the customs want to check the documents or products again. This can cause longer waiting times for our products to arrive at the destination. What does it mean for the agri- and foodsector? The United Kingdom is an important export state for the Netherlands. 7,1% of all import and export goes to the UK, with a value of 62 billion euros. For Valstar it is even more important, 23% of our products are exported to the UK and we are cooperating with multiple companies. Furthermore, the agri- and foodsector is one of the sectors where the Brexit will have the most impact. A large proportion of fruit and veg eaten in the UK is imported – with 84% of fruit and 43% of vegetables eaten in the UK in 2017 imported from the European Union (EU) and non-EU countries. This leads to an increasing price for fruit and vegetables due to the import tariffs and trade costs. A team of researchers from the University of Liverpool and Imperial College London examined that under a no deal Brexit the cost of bananas would rise by approximately 17%, citrus fruits by 14%, and tomatoes by 15%. Despite the disadvantages we find it important that our trade and transport can still continue. So that we can still deliver our products to our customers in the United Kingdom. However it is still not clear what will happen with Brexit. Together with our sister company ABC Logistics we will continue to closely monitor the current situation until binding agreements are made between the EU and the United Kingdom. If you are a customer of us, you probably have had a letter with information about what you can do to prepare your company for Brexit. If you didn’t receive this, please let your accountmanager know and they will send them to you.